The feeling when you actually manage to use up most of your products and you are able to buy more new products. I own way to many make-up products, which I'm slowly using up. I had used up more things, but I accidently forgotten to keep the packaging. YSL Touche Eclat Illuminating Concealer: This has lasted for so long, I must say it's worth every penny. I just love how lightweight this illuminating concealer is. Whenever I didn't have enough sleep I would use this on top of another stronger coverage concealer. Clinique Turnaround Overnight Night Cream: This is a very thick night cream. I just didn't feel like it was hydrating enough. Sometimes it left an oily foil on my skin, I hope you understand what I mean. I don't think I would re-purchase this. Clinique Take the Day Off Eye Make-up Remover: Eye make-up removing process is the most difficult. 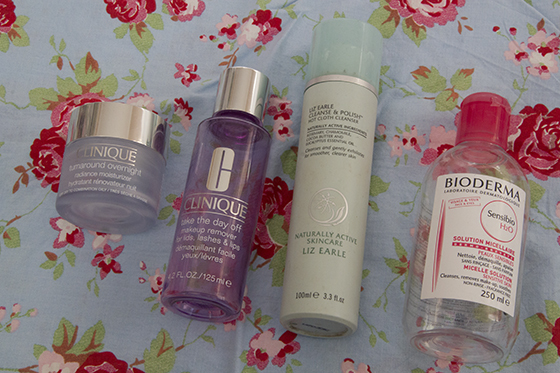 I tried many Eye make-up removers and I just can't any which will be good enough. I had high expectation for this one too, but it just didn't work. I think it too expensive for what it actually does. I hated the oily feeling that it left on my eyelids. I much more prefer Bioderma. 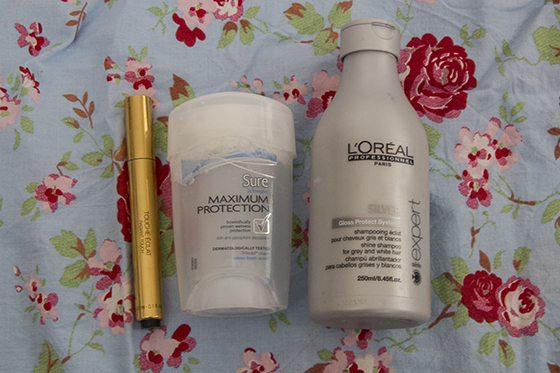 Sure Maximum Protection Deodorant: I had used up another one, the Sure Deodorant are my favourite. Wish this one did smell like the blue spray deodorant. It's gives me very good protection. If the scent was much more nicer I would love it even more. Liz Earle Hot Cloth Cleanser: Even thought this breaks me out, I love to use it to remove my eye make-up. It's just perfect to get rid of waterproof mascara. I don't use it all over my face, unless I won't to have really bad break out, I only just use it on the eyes. 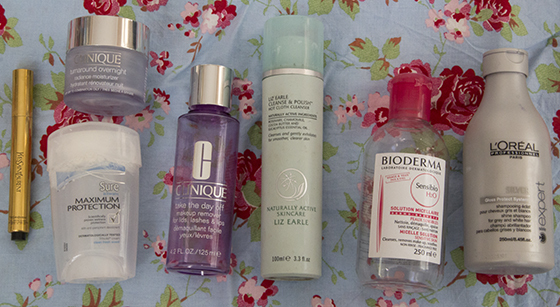 Bioderma Sensibio H20: My all time favourite make-up remover. It's works so well with my skin. I'm already half way through another bottle of Bioderma. 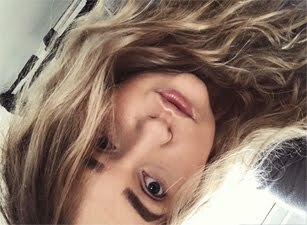 L'Oreal Silver Shampoo: I always liked to use silver shampoo on my hair, as I like my "ombre" to be a lot lighter. Like most purple shampoo this one was great in removing the yellow tones of blonde. I would recommend keeping this for around 2-3 min on your hair before actually washing it off. It didn't dry out my hair, that's a really good thing. Will definitely repurchase this. I want to try clinique products,they seem so great! I love bioderma too! Great post lovely! I think you have good great products here except for the two clinique products. It really is disappointing to have these kinds of products especially if they are expensive.